Today, I'm sharing some treat bags I made for Brady's teachers. He has a teacher and then there's a teacher's assistant in his class. I give them both the same thing. Is that what you do? I'm not sure if I should be giving his main teacher more? Confusing. Anyhow, I used a Whisker Graphics Chevron Middy Bitty Bag as the base of these. 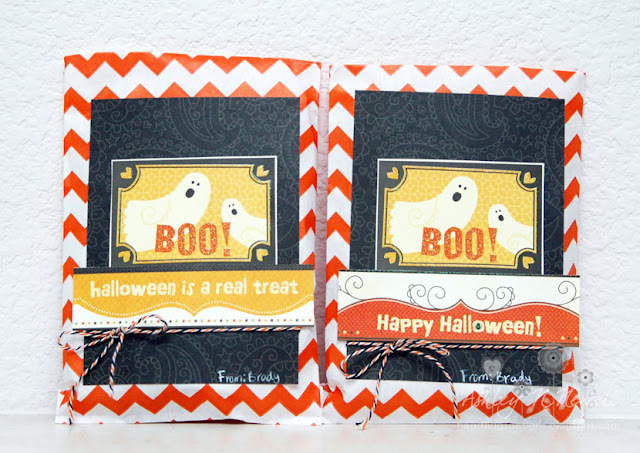 The paper, boo tag things, and the sentiments are from a DCWV stack. 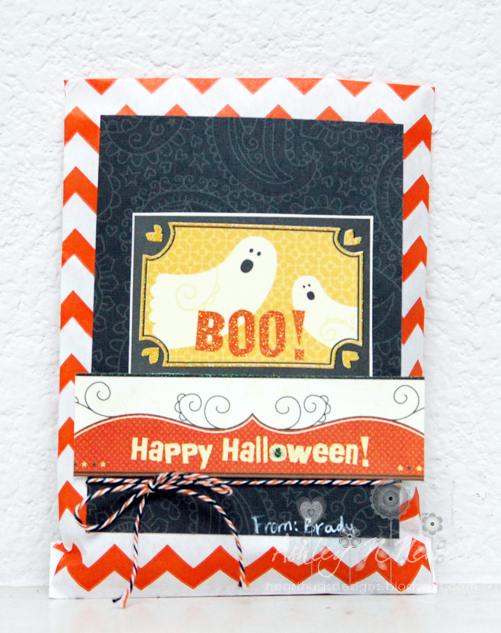 I added some Halloween Divine Twine and wrote Brady's name with white gel pen. Have a Happy Halloween! Keeping all my friends affected by Hurricane Sandy in my thoughts. SUPER cute bags!! I bet the boys' teachers loved them!